So you want to study further? That's great! There are plenty of colleges and other education institutes out there, but before you do make sure that your college or institution is registered. Is My College Registered With The Dept. Of Higher Education? Every year, learners register at bogus colleges for further studies just to find out at the end of the year that they cannot write their exams because they were never registered. Always make sure that you are studying at a registered FET college. Ready To Become The Michaelangelo Of Animation? If you are an astute observer of life with a curiosity about the world and great drawing skills to match, a career in animation could be for you. False Bay TVET College is proud to announce that it has been appointed by the Department of Higher Education & Training as the Centre of Specialisation for the rigger and mechanical fitter trades. Over the past couple of years there has been a rise in the number of people that study short courses due to both their cost effectiveness and the fact that they serve as a great addition to a resume. Are you and your child considering a best fit career path and wonder where to start? We would like to extend a personal invitation to join us for a seminar to discuss False Bay TVET College as an education institution of choice, at our Open Day on Saturday 19th August from 09:30 until 11:30 at any one of our 5 campuses. What "types" of TVET courses are available for me? Public TVET Colleges offer a very wide range of courses/programmes that have been developed to respond to the scarce skills needed by employers. Courses vary in duration from a short course of a few hours to formal diploma courses of three years. 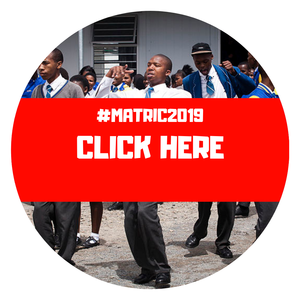 Naturally the costs of the courses also vary considerably but it is important to remember that Department of Higher Education and Training courses are subsidised by 80% of the delivery cost and for the remaining 20% that would be paid by the student, many full bursaries are available. LISOF Fashion School opened its doors in 1993. Currently it is based in Johannesburg, Pretoria and Cape Town. Lisof is a close-knit community of 500 students, educators and support staff. If you want to redo Matric because your marks aren’t good enough, then we can help. Last week we looked at how to redo your Matric if you’d previously written on the old syllabus.